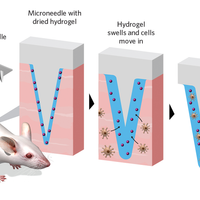 The mini-organs reproduce the two cell layers present in mouse skin and the development of hair follicles, providing a potential model for skin and hair research. 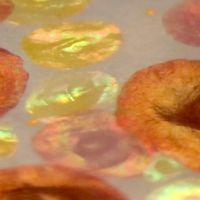 Researchers at Indiana University have developed the most realistic mouse skin tissue to be grown in a lab to date, according to a study published yesterday (January 2) in Cell Reports. The new mini-organs, or organoids, grow in 3-D culture and produce hair follicles, making them potential models for research into skin development, skin diseases, and hair growth. To develop the organoids, the Indiana team cultured pluripotent stem cells from mouse skin. 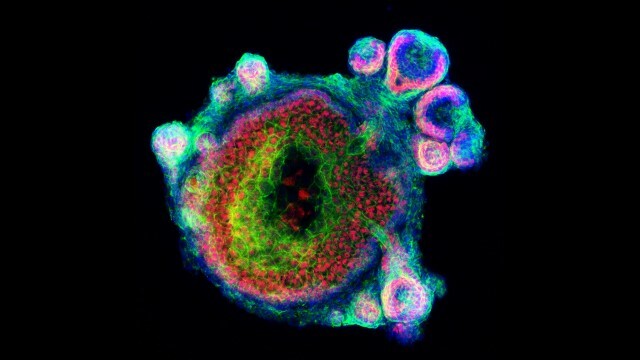 Unlike previous approaches, which have generally grown different layers of the skin separately and then combined them later, the researchers grew the stem cells in a specially developed 3-D medium, resulting in the simultaneous development of both the upper and lower layers of skin in a growing ball of cells suspended in culture.